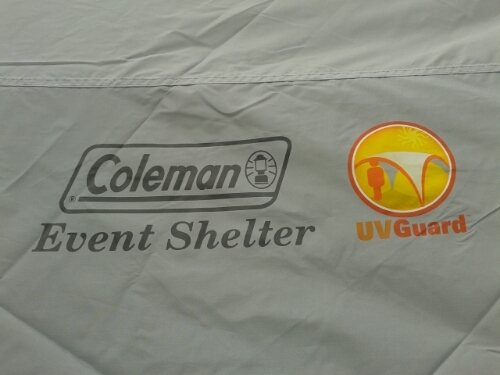 A few years ago, I purchased a Coleman Event 12 sun shelter. For one reason or another, I had not even taken it out of its bag, let alone taken it camping. 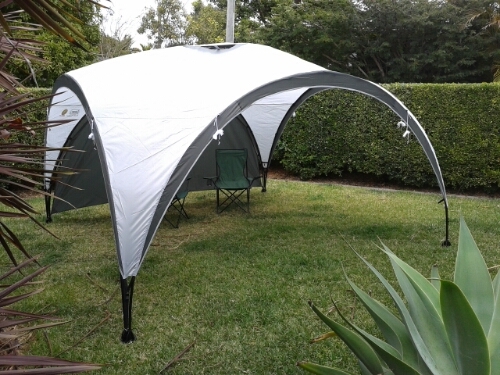 With another camping trip planned, I thought it was time to pull out the Coleman Event 12 sun shelter and take a look at it. 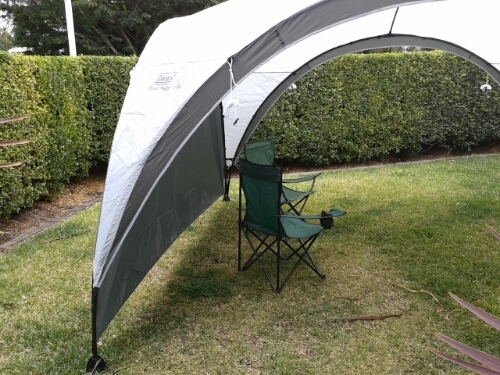 I specifically purchased the Coleman Event 12 because its pack size is slightly shorter than the larger Coleman Event 14, meaning that it can fit longitudinally in the boot of my Toyota Prado with my other camping gear. 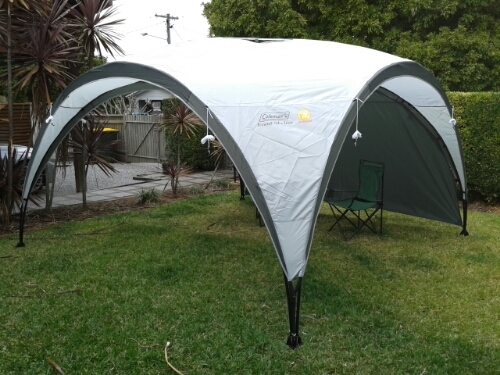 When erected, the Coleman Event 12 is smaller than the Event 14, but still provides very useable space. My Event 12 also came with a sun wall, which you can see in the photos. 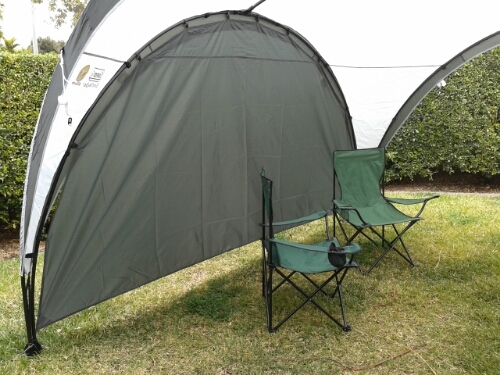 This entry was posted in Gear and tagged Camping, Coleman, Event 12, Gazebo, Sun Shelter on 24 August 2014 by Rex. 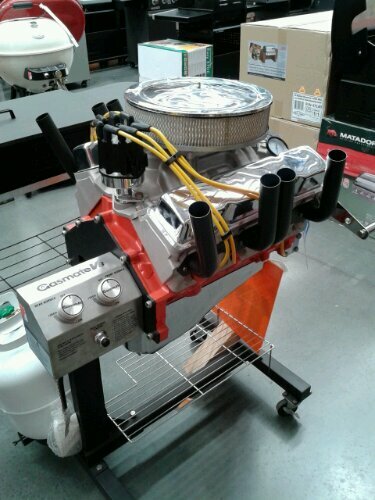 This entry was posted in Gear and tagged Barbeque, BBQ, Bunnings, Gasmate on 14 October 2013 by Rex. 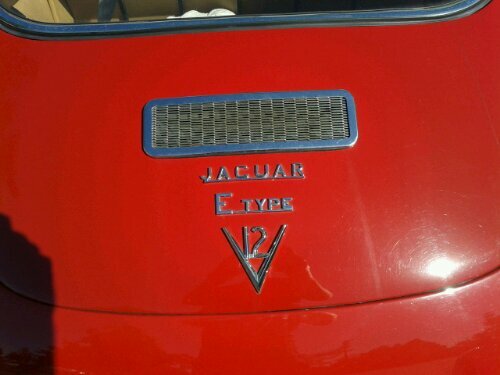 This entry was posted in Gear on 1 April 2013 by Rex. Some people may think that wearing earplugs to a rock concert is just plain silly. Why would you bother going to a loud rock concert, and then mute the sound. Rock concerts can cause hearing loss and tinnitus. If it is good enough for the musicians to wear ear plugs, then it is good enough for me. 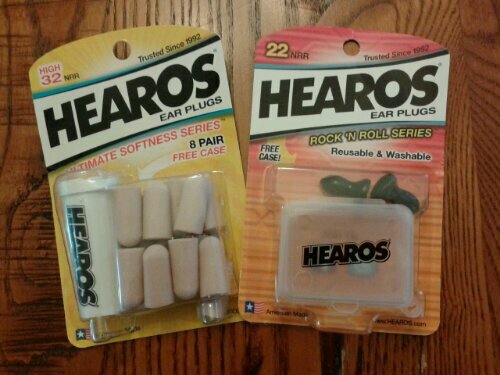 The Hearos Rock ‘n Roll series ear plugs provide a noise reduction rating of 22, and are washable and reusable. The Hearos Ultimate Softness Series provide a noise reduction rating of 32, and are not washable. This entry was posted in Gear and tagged Ear Plugs, Hearing Loss, Hearos, Santana on 19 March 2013 by Rex. 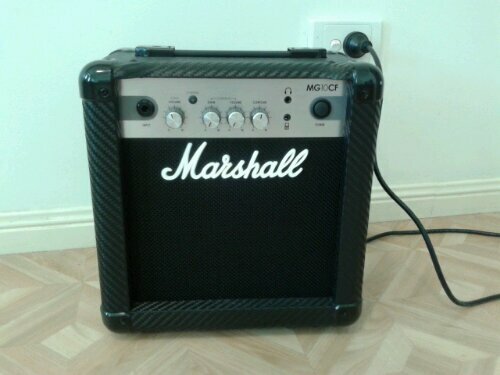 I bought this Marshall MG10CF amplifier as a practice amp to plug headphones into late at night. The amp is crackly and distorts too easily on the clean channel. Spend the extra money and get a Roland amplifier. 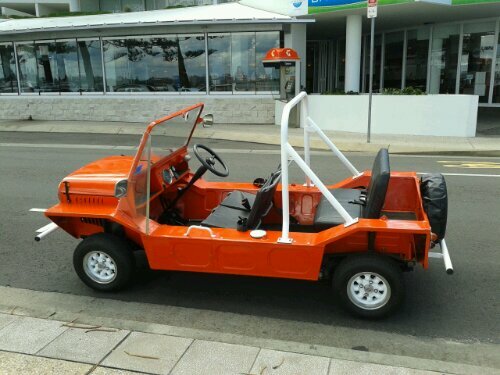 This entry was posted in Gear and tagged Amplifier, Guitar, Marshall on 28 February 2013 by Rex. 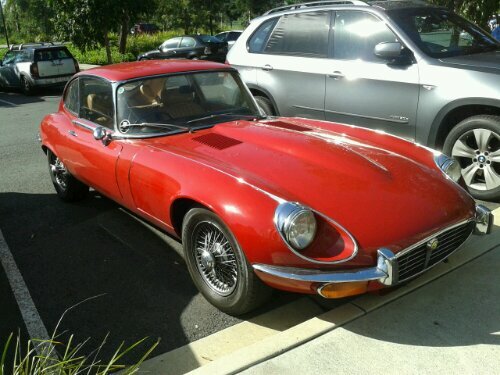 E Type Jaguar at Tennyson in Brisbane — nice! 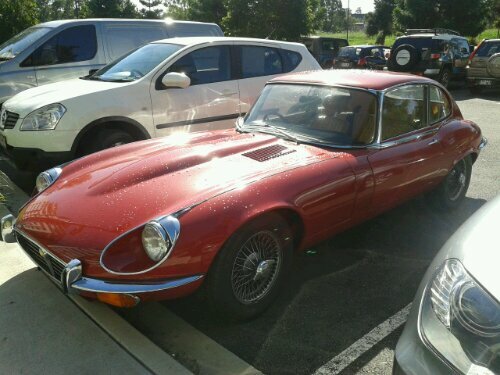 This entry was posted in Gear and tagged Brisbane, Cars, E Type, Jaguar, Tennyson on 2 February 2013 by Rex. 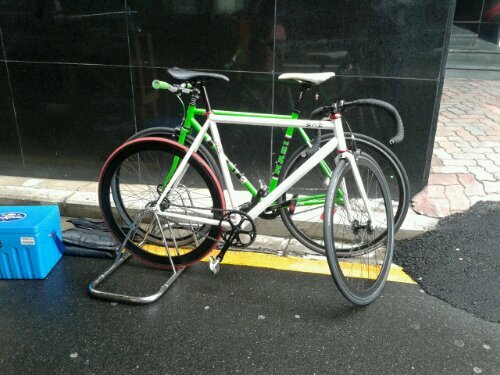 This entry was posted in Bicycles, Gear and tagged Bicycles, Bikes, Brisbane CBD, Fixies on 24 January 2013 by Rex.